Re: Bring lots of water! It was 120 degrees in Imperial Valley yesterday. 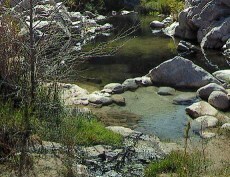 Soaking in the cool 93 degree water of Five Palms Hot Springs would be divine!! Re: Bring lots of water and DRINK IT!! !